The City and County of San Francisco offers rebates for local solar electric projects through a program called GoSolarSF, administered by the San Francisco Public Utilities Commission (SFPUC) Power Enterprise. 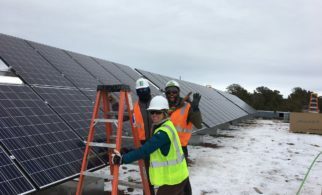 The program is based on the Solar Energy Incentive Program ordinance, which outlines a 10-year program with a budget objective of $2 million to $5 million annually. Under the program, low-income households are eligible to receive supplemental incentives at varying levels depending on their income and where they live (incentive adders are available for systems installed in an environmental justice area). 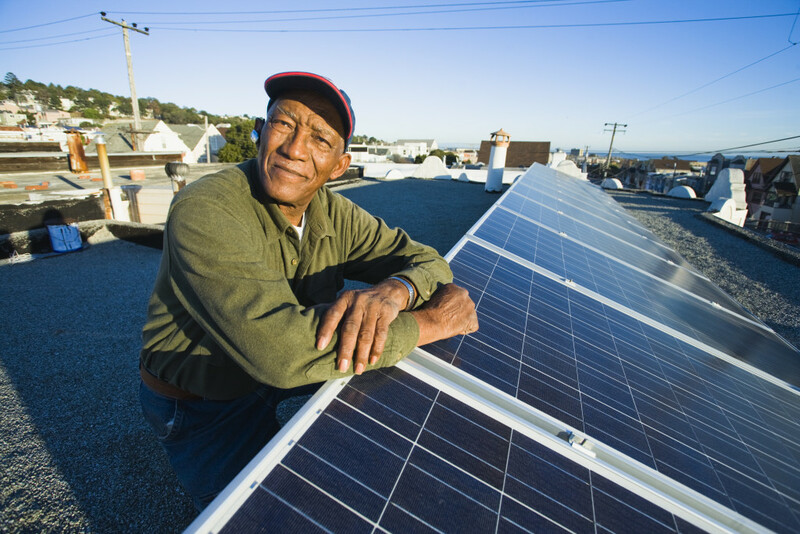 GoSolarSF complements the state’s SASH program by helping fill in the funding gap, and also provides a higher incentive level to city residents who do not meet the SASH income qualification but meet the city’s definition of low-income (at or below AMI), reside in San Francisco’s environmental justice zip codes 94107 and 94124, or are CalHome loan participants., or are CalHome loan participants. In order for homeowners to receive a GoSolarSF Incentive, they are required to use a GoSolarSF Certified Contractor. Exemptions to this requirement include using a nonprofit contractor, or a contractor headquartered in San Francisco with three or fewer employees. 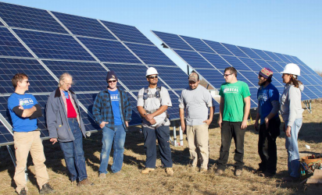 To obtain GoSolarSF certification, contractors are required to provide one or more entry-level job opportunities to San Francisco-based workers. 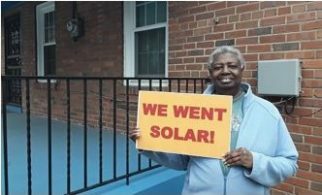 GoSolarSF’s focus on empowering low-income and underserved members of the community to participate in and benefit from the city’s growing solar economy has proven successful. 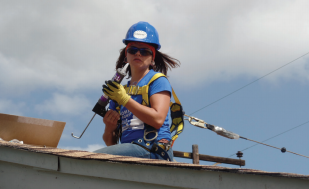 As of April 2014, 37 percent of the program’s residential capacity (kW) was installed on qualifying low-income single-family and multifamily homes. Furthermore, workers of color represented the largest populations served by the workforce development program with 40 percent Black and 22 percent Latino job placements. Accessibility and Affordability. Covering gap costs for households qualifying for state incentives reduces barriers to participation and helps San Francisco maximize access to those incentives. Consumer Protection. In order for homeowners to receive a GoSolarSF Incentive, they are required to use a GoSolarSF Certified Contractor. 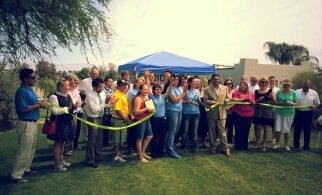 Participants also benefit from the consumer protection of the state solar programs. An infraction can be issued to the Applicant, Solar Contractor, System Owner, and/or Host Customer for failure to screen for SASH eligibility or frequent failure to accurately screen for low-income eligibility. Sustainability and Flexibility. Under the program, low-income households are eligible to receive supplemental incentives at varying levels depending on their income and where they live (incentive adders are available for systems installed in an environmental justice area). 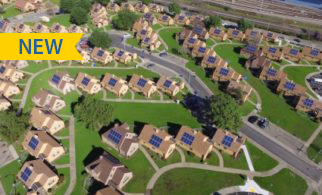 The city has committed long-term funding to the program through the Solar Energy Incentive Program ordinance, to ensure sustainability. Compatibility and Integration. 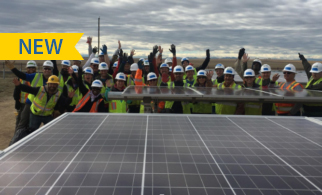 GoSolarSF was designed to complement and build on the state solar programs.